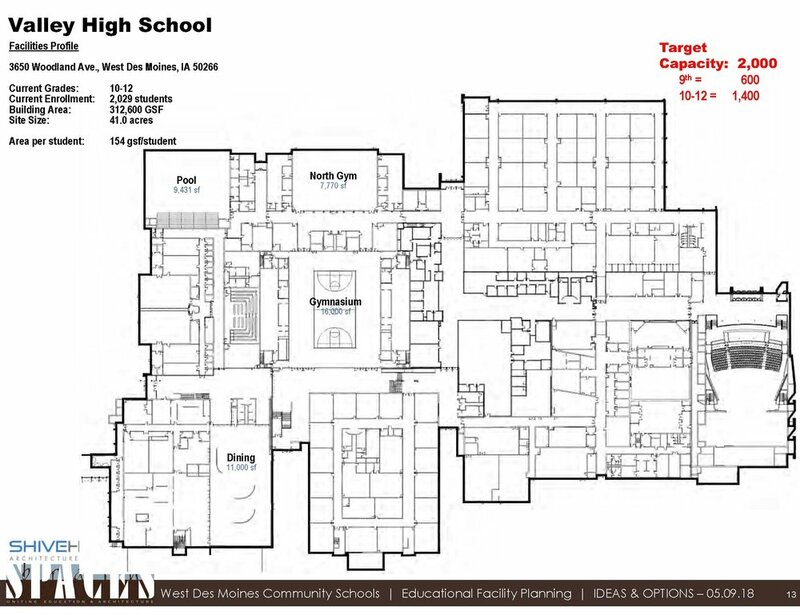 Throughout the benchmarking process, WDMCS administrators, staff, students, parents, and the community provided feedback on the needs of our current three high-school buildings. Because instructional needs are driving construction solutions, any potential solutions developed will focus on striving to do what’s best for learners in a diverse and changing world. The Board of Education approved the framework for the Master Plan process in January which will explore the development of a 9-12 Innovation Center which would schedule students from both Walnut Creek Campus and Valley High School. Valley Southwoods Freshman High School students would merge with Valley High School students. In any given day several hundred 9-12 students would be taking classes in the Innovation Center which would prevent overcrowding in the Valley High School building. 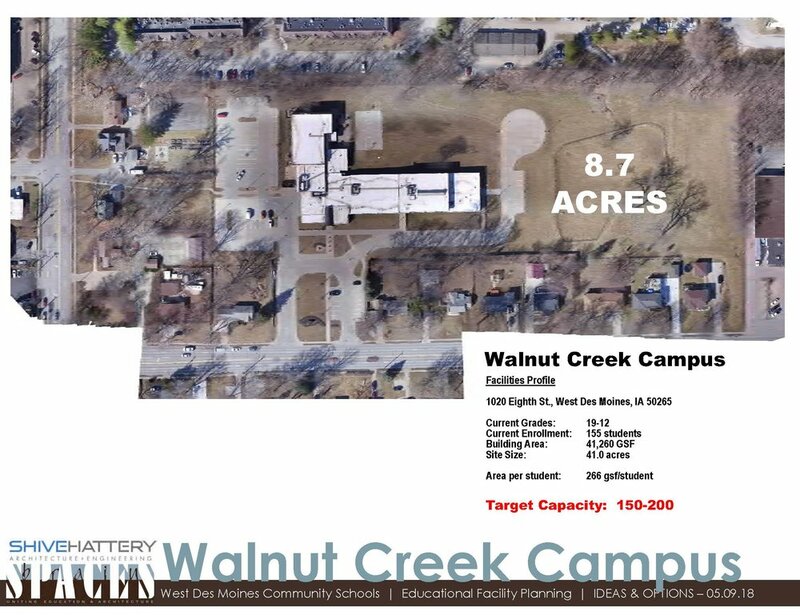 The following information outlines the types, quantities, and adjacencies of spaces needed Walnut Creek Campus, Valley High School, and the current Valley Southwoods Freshman High School buildings. Site-specific needs and enrollments customize the space to support individual needs. *Target capacity takes into account approximately 750 students enrolled in courses at the Innovation Center. This is not the SAME 700 students throughout the school year or on any given day based on individual student schedules.